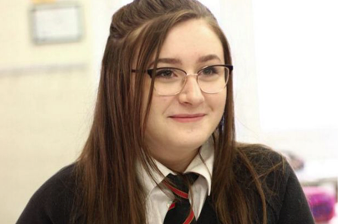 Nell Jones’ family have unveiled plans for a new ‘Garden of Memories’ outside Holmes Chapel School with an area where people can reflect and think, open to the whole community. Anyone wanting to donate can send a cheque payable ‘The Remembering Nell Fund’ to Holmes Chapel school, Selkirk Drive, Holmes Chapel, CW4 7DX. Nell Jones was one of 22 people to go to a concert in Manchester on May 22 and never return home. The 14-year-old was taken from her family in the most tragic of circumstances. But her loved ones are determined to do something positive to honour her memory. Her family has found the grief unbearable. For them, time is no healer. Things only get worse. In a heartbreaking interview, they have told how the little things in life are what they miss; the constant reminders are what hurt. 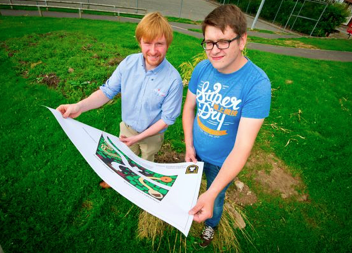 Work is now underway on the Garden of Memories at Holmes Chapel Comprehensive School and Sixth Form College. Nell’s friends have been heavily involved in its design. The garden will be split into three different sections, and will sit outside the school’s security perimeter so it can used by anyone wanting a quiet moment of reflection. 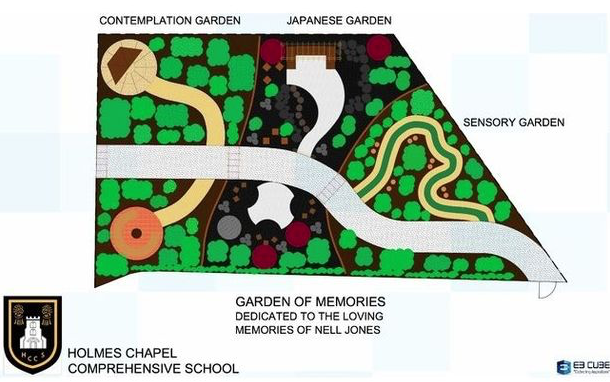 It will feature a ‘contemplation garden’, where people can sit and talk. There will also be a Japanese garden which will have a pebble stream where people can leave a stone, decorated with a pattern, or a message or picture. The final section will be a sensory garden, which will focus on sound, smell and texture, and be aimed at pupils with special educational needs. Anyone wanting to donate to the fund can send a cheque payable to ‘The Remembering Nell Fund’ to Holmes Chapel school – Selkirk Drive, Holmes Chapel, CW4 7DX.